Good morning! I am in love with the work you do! My name is Natalia and my fiancee Carlos. 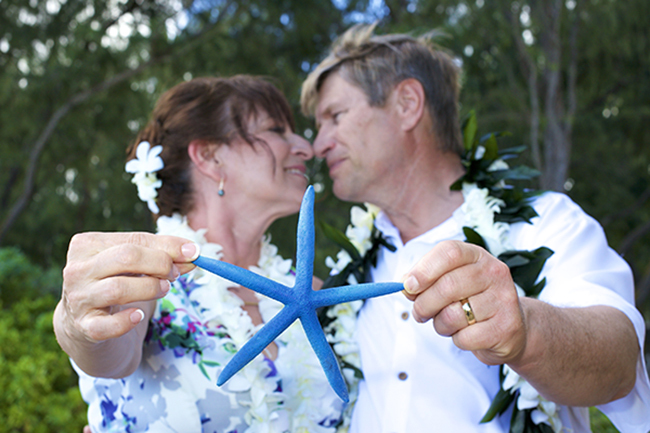 We are a Brazilian couple and live in GA. We have rented a property at Hauula for our reception. I have the ceremonialist and the bouquet, otherwise, we still have everything else to do. 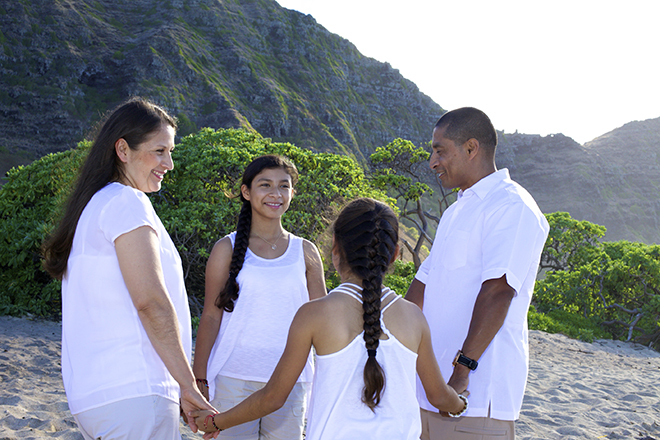 We would like a ceremony at the beach (sunset if possible) and we are expecting about 30 guests. I took a look at the pictures and I simply loved all the colors, flowers… just everything. water lots , mixed Hawaiian juices . 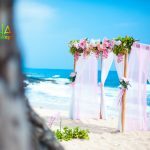 Natalia review and photos of her wedding posted to Aloha Island WeddingsThere are not enough words to describe how easy and incredible was to work with Paul and his wife to organize our ceremony. We were very worried about doing it from far away but it ended much better than we could ever think. With few conversations they organized our wedding not the way we wanted, but MUCH BETTER then we were expecting. The violinist was great, the flowers, the breeze, just about EVERYTHING WAS OVER PERFECTION. Don’t waste your time looking for somebody else to do your ceremony just do it with them! Thank you guys. You are the best! the flowers, the breeze, just about EVERYTHING WAS OVER PERFECTION. Don’t waste your time looking for somebody else to do your ceremony just do it with them! Thank you guys. You are the best! 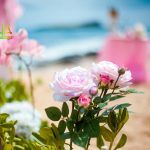 This is a good tip on beach weddings in Hawaii , particularly to those new to wedding planning and the blogosphere. Beautiful photos simple and elegant but very accurate info… Many thanks for sharing this one. Thank you for some other wonderful photos and ideas. I’m on the look out for creative ideas related to Hawaii wedding nature photos such as forest ,waterfalls and secluded cliffs. 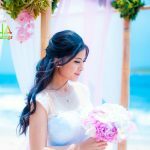 Where do you find these remote gorgeous wedding beach locations wow !. certain places hold so much beauty in Hawaii , Im married already but want to have a Vow renewal on Oahu sometime next year ” it will be our 15 year of marriage “. Thanks for magnificent wedding design you create Im searching for this information for our renewal am i able to do something like this but more simple , it will just be the two of us . Popular anniversary wedding vow renewals are 5 year and every 5 years for example 15 , 20 , 25 you get the idea . 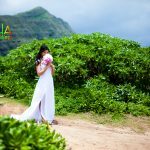 Natalia + Jose Guimaraes North shore beach estate – Hawaii Beach Weddings. Ha ha thats funny , alot of comments found here seem to be a bit spammy though we love to hear from real wedding couples . I like this wedding the natural setting in between the trees and the pacific blue ocean is incredible . Yes I agree , these Hawaiian trees grow close to the ocean they are called Hau trees and Iron wood pine . 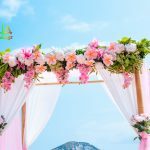 Thank you for taking the time to view our beach wedding site , good look on your upcoming ceremony.